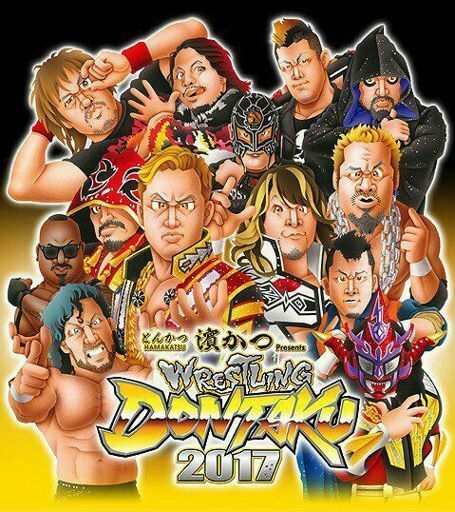 A few days ago, there were still plenty of seats available for this show but all of a sudden, NJPW ended up drawing more for this event than they did last year. Impressive. It’s the final show in a week full of them. The first one was lackluster and the second had a slow first half but a great final few matches. This show also features the BOTSJ participant announcements as well as gives us some setup for Dominion. The official card began now. Post-match, Liger shook hands with Tiger Mask W but flipped off Makabe. Hirooki Goto and Minoru Suzuki brawled after the match. There’s most likely a rematch coming at Dominion. Cody cut a promo after the match, telling NJPW to send him someone bigger and stronger. During intermission, the blocks for the Best of the Super Juniors Tournament were announced. A Block: Jushin Thunder Liger, Ricochet, Dragon Lee, Will Ospreay, Taichi, TAKA Michinoku, Marty Scurll (!!) and Hiromu Takahashi. B Block: Tiger Mask IV, Ryusuke Taguchi, KUSHIDA, Volador Jr., ACH, Yoshinobu Kanemaru, El Desperado and BUSHI. The “A Block” certainly seems to be superior on paper. Liger will bring it in his final BOTSJ, Scurll is all kinds of interesting and then Lee, Ospreay, Ricochet and of course, Hiromu, should all bring it. However, I could do without another Ricochet/Ospreay match for a while. I’d personally love it if Liger won the whole thing in his final run and set up an awesome match with Hiromu at Dominion. Post-match, the Guerrillas jumped War Machine, most likely setting up a match at Dominion. The Bullet Club checked on Fale but Okada didn’t care. He called out Kenny Omega and the two had a face off. I like the idea that Okada challenged Omega. It plays into the prideful Okada angle we’ve seen. Beating Omega at Wrestle Kingdom wasn’t enough. He’s bothered that people said Omega outperformed him that night (he did) and has to prove he’s the best. The fans were firmly behind Omega here. Side note, I expect Dominion to be a damn good show but booking a bunch of WK rematches (Omega/Okada, Tanahashi/Naito, RPG Vice/Bucks is most likely) feels lazy. Add in the possibility of Suzuki/Goto and a Jr. Title match we’ve seen before and it’s rematch city. Overall: 7/10. Like the other two shows NJPW held in the past week, this first half is solid but unspectacular, while the second half is where things picked up. To be fair, it picked up just before intermission with the LIDJ tag. Fale/Okada and the NEVER Tag Title match were both really good, the IWGP Tag Title match was fun and Omega/Ishii was the best match in NJPW since Shibata/Okada, though below that one.